One week after the cross-country Olympic and downhill UCI Mountain Bike World Championships presented by Mercedes Benz, off-road action shifted to Auronzo, Italy, for the 16th edition of the UCI Mountain Bike Marathon World Championships. 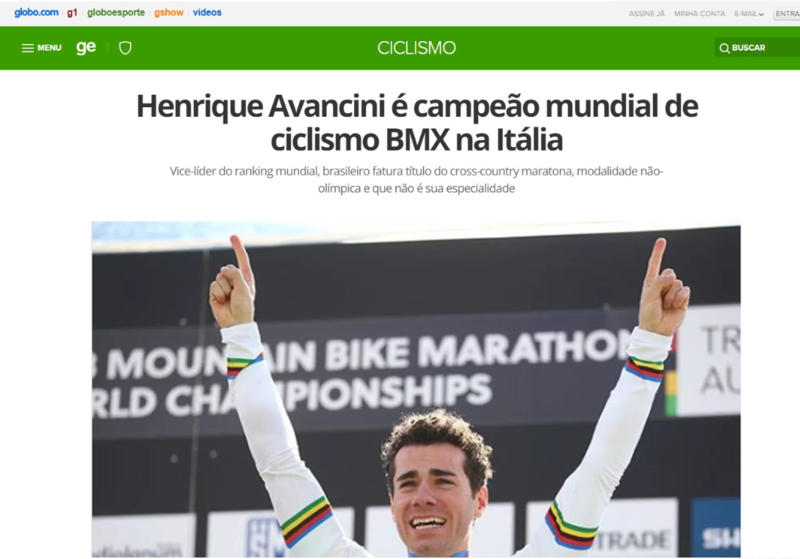 Henrique Avancini became the first Brazilian rider in mountain bike history to win a world title with his victory in the men's race, while Annika Langvad of Denmark successfully defended her title in the women's race to take her fifth win in the Marathon. The 2018 UCI Mountain Bike Marathon World Championships took place in one of the most beautiful landscapes in the world, within the UNESCO World Heritage site Tre Cime di Lavaredo, in the Italian Dolomites mountains. Women raced 89 kilometres and climbed 3’400 metres, while the men covered 102 kilometres and climbed 4’200 metres. The women's race saw most of the top contenders close together as they went over the first climb, including Langvad and other former winners Gunn-Rita Dahle Flesjaa of Norway and Maja Wloszczowska of Poland. However, by the time they reached the Tre Cime climb it was only Langvad at the front, with Christina Kollmann-Forster of Austria a distant second, more than seven minutes back, and Wloszczowska in third, which was the finishing order. 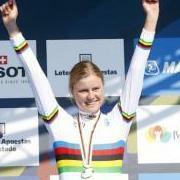 Six-time winner Dahle Flesjaa was fourth and recent crowned XCO UCI World Champion Kate Courtney of the USA finished ninth. "It was really tough, for sure the most selective race I've ever took part in," said Langvad. "I tried to be aggressive from the very first climb. Since I felt fine, I kept my pace until the end, and I managed to increase the distance from my opponents. I could not be more stoked about ending my season like this! A massive thanks to all the people and my Specialized mountain bike team who were behind me for making this possible." In the men's race, the lead group of 14 was gradually whittled down to just five by the Tre Cime climb - Avancini, Hector Paez Leon (Colombia), Howard Grotts (USA), Alexey Medvedev (Russia) and Daniel Geismayr (Austria), the defending bronze medalist. Paez Leon was the first to attack, but Avancini and Geismayr bridged across, dropping the others for good. Coming into the final kilometre, Avancini and Geismayr were still together, with Paez Leon only 10 metres back, setting the stage for a sprint finish after 102 kilometres of racing. Avancini came out of the last corner with a few bike lengths lead and held it to the finish line. "I knew I was in good shape but also aware I was an outsider," said Avancini. "In order to best play my cards, I tried to break the pace of the Marathon riders and I think I made it. I don't have a favourite discipline; I feel that I am a biker first of all, and during this season I've tried to show it. I didn't expect to close the year with a world title." You're wrong, he won the BMX marathon world title, not MTB. Welcome to the coolest showdown in the Wild West. Not only is the desert hot, but so is the competition. It’s time for the most unique mountain biking event in the world. Welcome to Virgin, Utah for Red Bull Rampage Here!